Are you seeking a business loan of up to $300,000? If you are looking to expand your business, Lending Club business loans might be the answer for your organization. Loans provide relatively quick and easy access to cash, and repayment terms are flexible. These loans are designed for business owners who want to expand or refinance an existing loan, and annual percentage rates begin at 9.8%. When Are Lending Club Loans A Good Option? Are Lending Club Business Loans Right For You? What Can You Use Business Loan Funds For? How Does Lending Club Make Approval Decisions? If you need cash fast, you can have a Lending Club loan in as little as two days. You will need to put up collateral only if your loan is over $100,000. A loan never requires collateral of personal belongings, such as your home. A UCC-1 is the only requirement; it allows Lending Club lay claim to business assets in case of loan default. 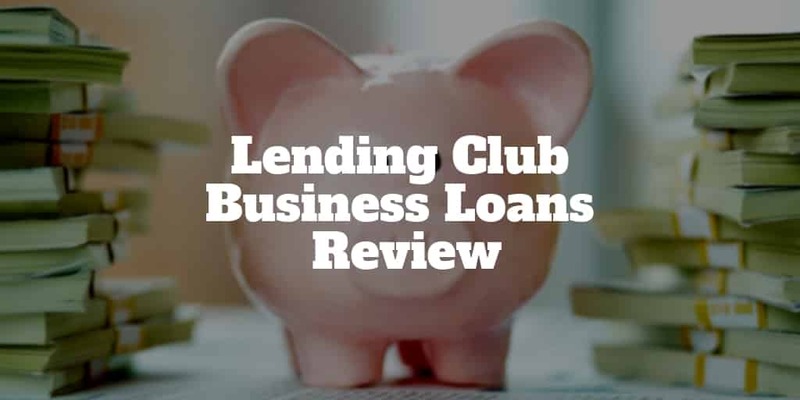 Another reason to choose Lending Club business loans is when you are looking to grow your business but don’t have sufficient cash reserves to invest in marketing, sales, or business operations. If you need a business loan of less than $300,000, Lending Club might be the right choice. Lending Club will require a minimum credit score of 600, so you need to have fairly good credit. You can apply online and complete the application process in under 10 minutes in order to prequalify; it saves time and energy in dealing with banks and having to take time away from your business. For borrowers with good credit, terms are similar to those that you might find from a bank loan. You can use these loans to expand your business, change to a new location, hire new employees and invest in your current employees, who are a valuable resource. If you wish to purchase new equipment, consolidate debt or expand your advertising and marketing budgets, that’s all permitted. Equally, it may be smart to improve operations with loan funds in order to save you money in the long run. You might be looking to consolidate debt and move from a high-interest loan to a simple monthly payment that is transparent; this can free up other cash flow which is needed to effectively make your business stronger. Other common reasons to choose Lending Club business loans include expanding the present location of your business with new features and design, or upgrading technology systems. By borrowing from Lending Club, you can grow and improve your business with a loan that is flexible. Lending Club uses an automated technology platform to determine a business’s risk as well as to analyze business data. Once you have accepted the terms of the loan, Lending Club verifies who you are. You then provide bank statements for the past three months and an IRS Form 4506-T as well as business tax returns. One check is at the beginning and is a soft pull when you prequalify. The second is a hard pull at the finish of the application process. Keep in mind, you’ll need to have strong financials most likely to win approval. A customized quote does not affect your credit score. Depending on the size of the loan and how quickly documents are submitted, you can have your cash within two days to two weeks. APRs range from 9.8% to 35.7% for business loans, making Lending Club competitive. However, the 35.7% figure is somewhat higher than the rates offered by traditional banks. However, the rates are lower than many other online lenders that can sometimes charge 2-3x higher rates. Banks might charge an APR of 6 to 10%, but the process with Lending Club is quicker and simpler. Terms are from one to five years with fixed monthly payments. You can borrow as little as $5,000 or as much as $300,000. The business loan requirements for a Lending Club loan are straightforward. You must have a credit score of 600 or above, and you must put up collateral for loans that are over $100,000. Borrowers will have to personally guarantee loans that are less than $100,000. This includes the liquid assets of your business such as accounts receivable, inventory and cash. Real estate and your personal property are not considered for collateral. Your personal assets and credit score are at risk if you don’t pay the loan back. In addition, you must own at least 20% of your business. ✅Fast Access To Cash: In as little as two days, funding may be made available. ❌ So-So Rates For Poor Credit Borrowers: You can expect higher rates if you have credit that is not stellar. ✅Loans Up To $300,000: Predictable monthly payments are fixed, and business credit can be established and improved over time with prompt, on-time payments. ❌ Collateral: Large loans put business assets on the line. ✅Loans From $5,000: If you just need a small cash injection to tie you over you can borrow as little as $5,000 from Lending Club. ✅No Prepayment Penalty: Paying off your loan early will save you additional interest costs plus you won’t get stung with any fees. These are SBA loans in amounts ranging from $30,000 to $5 million. The repayment term can vary between 10 and 25 years. The application process is online where you’ll be matched to lenders most likely to approve your loan. SmartBiz will hand you off to one of its bank partners if you don’t qualify for the SBA loan. After completing the application, you may have your funds in as few as 7 days. Rates start at 6.75% if you qualify. Kabbage provides lines of credit up to $250,000 or loans up to $150,000. Six- or 12-month terms are possible. The initial payments are higher, so you won’t save much on interest if the loan is paid off early. You can review the schedule for payments before withdrawing money and withdraw as needed; this on-demand feature provides a financial cushion that may be of value to some businesses. No minimum credit score is required, and the business only has to be one year old. Revenue should be at least $50,000 annually or $4,200 per month. Lending Club may be a better choice if you need more than $100,000. For new businesses, OnDeck is a popular choice. It offers lines of credit up to $100,000 as well as business loans of up to $500,000. Minimum annual revenue should be at least $100,000, and your credit score should be 500 or above. Repayment with OnDeck can be weekly or even daily, which might be a problem for a business with cash flow issues. Loans through Funding Circle are for amounts from $25,000 to $500,000. Terms are similar to Lending Club with one to five years to repay. The time it takes to fund the loan averages 10 days, a bit longer than Lending Club in some cases. The APR with Funding Circle is from 10.91% to 35.5%. Both Lending Club and Funding Circle provide loans to small business owners; it might just be a matter of where you qualify since both lenders are similar. In order to determine if a Lending Club business loan is right for your business, it is important to consider the pros and cons. The application and approval process is fast, and you can have your loan in as few as two days. This is a great option when you need to make a quick business decision and time is of the essence. You can use the capital for whichever business reason you choose. Large amounts of cash, up to $300,000, are readily available to your business. Whether you’re interested in increasing inventory, adding new equipment, boosting advertising and marketing budgets or any other business need, the capital is yours to spend on whatever business cost is necessary. Terms are easy, with fixed payments and no prepayment penalty if you pay off the loan early; this will save you money. Percentage rates are similar to what a bank would offer to borrowers who have good credit; however, Lending Club does not use personal assets, such as your home, as collateral. If your business is less than a year old, a Lending Club business loan may not be for you. You can explore other options as there are a host of online lenders with whom you may qualify. The Bottom Line: Lending Club is the right choice if your business is established, your credit score is good and you need the cash quickly. Rather than shopping around at banks and other online lenders, Lending Club is a good first stop in seeking business financing. The right lender will work with you to finance your business and your dreams for its success, so decide if Lending Club is a suitable option for you. ‹ SoFi Wealth Management vs. Betterment: Which Robo-Advisor Is Better?